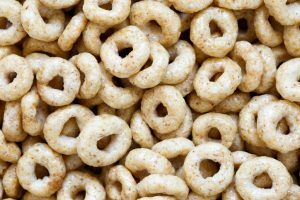 Mounira Doss, a plaintiff who resides in Florida, filed a class action lawsuit against General Mills, the makers of Cheerios and Honey Nut Cheerios. The lawsuit was filed on August 16, 2018 on behalf of Doss and any other plaintiffs who claim they have been harmed by the presence of the chemical in their breakfast cereal. It is currently pending in the U.S. District Court for the Southern District of Florida. The study was recently released by the Environmental Working Group (EWG). The report included the results of independent lab tests performed on 30 oat-based products, including granola, instant oats, oat breakfast cereal (including Cheerios), snack bars, and whole oats. Many of the products tested, including Cheerios, are marketed as healthy, natural products. Some of them are marketed as organic. Of the 45 samples tested, 43 contained detectable levels of glyphosate. Thirty-one of the samples contained more than 160 parts per billion (ppb)—the maximum level considered safe for children to be exposed to, according to the EWG. None of the products marketed as organic had glyphosate levels that exceeded this maximum threshold. In all, three samples of Cheerios were tested. The first contained 490 ppb, the second contained 470 ppb, and the third contained 530 ppb. All of these levels are far above what is considered to be acceptably safe. Roundup weed killer, which contains glyphosate, is widely used on crops like corn and soybeans. 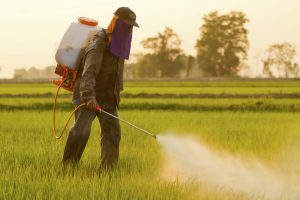 More than 250 million pounds of the chemical cocktail is sprayed on crops every year in the U.S. The Roundup sprayed on oat crops isn’t intended to kill weeds, however. It’s intended to kill the oats so that they can be harvested more quickly. Because Roundup is sprayed on oats close to harvest, a considerable amount of the chemicals stay on the oats as they are harvested and processed into food. 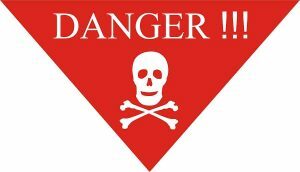 Glyphosate has been listed by multiple organizations as a probable carcinogen. And in 2017, California added it to the Prop 65 registry of chemicals known to cause cancer. To date, thousands of lawsuits have been filed against the makers of Roundup, Monsanto, claiming that heavy exposure to glyphosate has caused agricultural workers, farmers, and home gardening enthusiasts to develop non-Hodgkin’s lymphoma. Mounira Doss’ lawsuit indicates that she never would have bought and consumed Cheerios had she known that the popular cereal contained very high levels of glyphosate. The lawsuit further points out that the product is marketed as healthy and safe for children and adults. It’s expected that more plaintiffs will join the class action lawsuit as awareness grows about the presence of glyphosate in oat-based foods. Awareness about the risks of Roundup to agricultural workers has been growing in recent months. Doss’ lawsuit was filed after a substantial jury award was announced in the case of a California man who has terminal non-Hodgkin’s lymphoma. Monsanto was ordered to pay $289 million. Ellis Injury Law has recovered more than $350 million in settlements for our clients during the past 20 years. If you’ve developed health problems like non-Hodgkin’s lymphoma after exposure to Roundup weed killer, you’re invited to contact us to discuss the next steps. Call today to request a free consultation with our product liability lawyers in Los Angeles. It’s generally expected that products approved for sale in the U.S. are safe for use as intended. This is especially true when the products, like school supplies, are marketed for use by children and families. That’s why it’s so shocking to parents to hear that certain school supplies can actually be toxic. Before you and your kids head out for some back to school shopping, you should know what to look for. Every back to school product you buy for your kids should feature the AP label by the Art & Creative Materials Institute (ACMI). This certifies that the product is non-toxic and safe for kids. 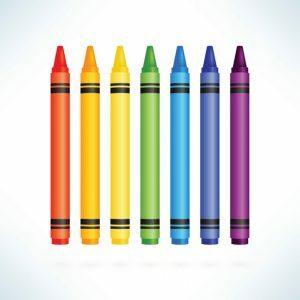 An independent lab test of six different types of crayons revealed that one tested positive for asbestos. Playskool crayons (36 count) that were purchased at the Dollar Tree tested positive for tremolite, which is a form of asbestos. Asbestos is incredibly harmful for human health. When these tiny, microscopic fibers are inhaled, children increase their risk of chronic lung, throat, and gastrointestinal medical conditions. These include mesothelioma, which can develop as late as five decades after exposure. An independent lab tested two types of dry-erase markers and two types of washable markers. The results indicated that one type of marker, Board Dudes, contained benzene. Benezene is a probable carcinogen that is associated with increased risks of leukemia, along with liver, kidney, and immune system function. The Consumer Product Safety Commission (CPSC) has recalled two brands of water bottles because they contain high levels of lead. Although stores are barred from selling these recalled products, it’s possible that consumers still have them in their homes. Check the brands of your children’s water bottles. The recalled products are: Reduce Hydro Pro Furry Friends (Base Brands, previously sold by Costco) and GSI Outdoors children’s water bottle (previously sold by L.L. Bean). Even binders can contain toxic ingredients. An independent lab test found that a blue, three-ring binder sold by Jot brand contains phthalates. The level of phthalates found in the binder is high enough to be considered unsafe for children, according to the CPSC. Phthalates are linked to reproductive problems, hyperactivity, and birth defects. What should parents do if they find toxic products? The first step is to stop the kids from using the toxic products or coming into contact with them. Place the item out of reach, but don’t throw it out just yet. If you decide to file a product liability lawsuit, it may become evidence. The product liability lawyers at Ellis Injury Law in southern California can review your case to determine if you may have the basis for a lawsuit. Our legal team has years of experience successfully litigating complex cases, including toxic product cases. If you or your child has been injured by a toxic product, you may be entitled to recover compensation for medical expenses, pain and suffering, reduced future earning capacity, and emotional distress. Call Ellis Injury Law today for a free case review at 310-641-3335. Hundreds of thousands of California residents are still driving recalled vehicles with dangerously defective airbag inflators that could explode and spray shrapnel into the passenger compartment upon deployment. At least 11 Americans, including three Californians have been killed by the defective inflators. The airbag recall includes vehicles from 19 different auto manufacturers, most of which are early 2000 models. According to the Airbag Coalition, the most common are 2001 and 2002 Honda Civics and Accords and 2002 and 2003 Acuras. Those particular models have a higher chance of exploding and are considered unsafe to drive. Further, southern California drivers are at additional risk due to the weather; high temperatures and humidity negatively impact the propellants in the airbag. The highest number of unfixed cars in California is attributed to its larger population. Recall notices have been sent to owners, however it can be difficult to track down current owners if vehicles have been resold. 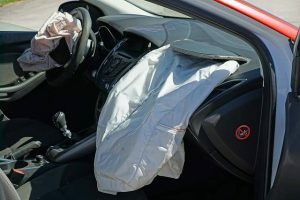 Grassroots efforts were launched in March by Airbag Recall Southern California to educate the community about the danger of the unrepaired airbags, and to urge drivers to check their VIN numbers and schedule the free repair. Takata, the manufacturer of the defective airbags has pledged on its website that it is “fully committed to being part of the solution.” The company has also paid a $25 million fine and established a $125 million fund for victims. Vehicle owners can check if their car is part of the recall here: www.airbagrecall.com . If you’ve been harmed by a defective product, faulty automobile part, or other unsafe item, the Los Angeles product liability lawyers at Ellis Law can thoroughly review your case to determine if you may be entitled to compensation. With more than two decades of experience advocating for clients who’ve suffered serious injuries and financial hardships due to recalled and defective products, we will do our utmost to hold the liable parties accountable for your losses. Contact us for a free and confidential consultation at 310-641-3335. According to recent statistical reports released by Kids in Danger, there were 76 children’s products and nearly 67 million units recalled in 2016. Chief offenders were McDonald’s recall of Step-It activity wristbands and Ikea’s Malm chests and dressers, each responsible for 29 million units. Kids in Danger, a Chicago based children’s safety advocacy group, suggests that these potentially dangerous products remain on store shelves too long before any recall efforts are made. Although companies have effectively used social media to spread information regarding product recalls, the report suggests that companies tend to wait until numerous accidents have been reported before announcing formal recalls. KID will continue to work to provide information to increase recall effectiveness and broaden consumer awareness in 2017 and beyond with regard to injuries and deaths related to children’s product recalls. Parents can check saferproducts.gov for recall reports and sign up for safety updates at kidsindanger.org. Representing clients throughout the nation, Ellis Law’s California personal injury attorneys offer unsurpassed legal representation to those who’ve suffered harm from faulty products, whether it occurred in the workplace, at a business establishment or at home A successful product liability lawsuit can recoup monetary damages related to dangerous prescription drugs, defective medical devices, hazardous infant toys and other products that cause consumer injury. Contact us at 310-641-3335 for a free review of your circumstances. Just in time for the holidays, a consumer watchdog group has released their list of the most dangerous toys for 2016. W.A.T.C.H. (World Against Toys Causing Harm) has provided the list based on concerns like inconsistent or inaccurate warnings or age recommendations for toys, as well as potential hazards in the toy design. The group is advising parents to use caution when shopping for toys for their children this holiday season, particularly when considering the toys on their list of safety concerns. Every three minutes in the United States, a child is treated in an emergency room for a toy-related injury, according to W.A.T.C.H. In 2014 alone, there were more than 251,000 injuries involving toys. In addition, between 2010 and 2014, 61 deaths were related to toy injuries. 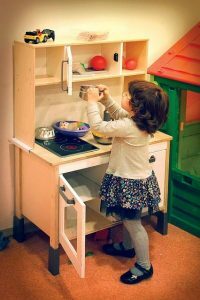 Because toys are not a necessity of life, accidents involving these devices can be that much more tragic. While dangerous toys pose a year-round threat to children, the problem tends to become more prevalent at Christmas time, when a large percentage of toys are actually purchased for the year. The hope of W.A.T.C.H. is that parents will use the information provided by the watchdog group to select safe toys for their children that will bring both peace of mind and enjoyment the whole year through. The organization also uses their list to call attention to the need for more stringent oversight and regulation of toys that come onto the market to protect children from potential hazards before they occur. Kids Time Baby Children’s Elephant Pillow – while the packaging information shows a picture of an infant snuggling with the oversized pillow, there is widespread evidence that pillows like this one can pose a suffocation hazard to very small children. Slimeball Slinger – the speed at which the green slime is emitted from this machine can create a risk for an eye injury. Banzai Bump and Bounce Body Bump – the large plastic inflatable balls are worn by younger children as they are encouraged to run into one another. Unfortunately, safety equipment is not included in the product package. Nerf Rival Apollo XV-700 Blaster – although this toy also has the potential to cause eye injury, there is no warning label to that effect and no protective eyewear is included. 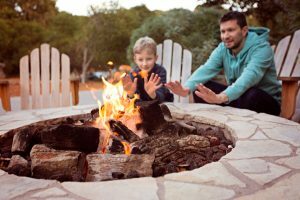 While this list provides parents with important information about possible hazards involving some of the most popular toys of 2016, it does not list every toy that could harm a child this year. If your child is injured by a toy due to manufacturer defect or failure of the manufacturer to provide warning about hazards, you may be entitled to damages for your child’s injuries. At Ellis Injury Law, we help families every day that have been affected by the negligence of a product manufacturer. To learn more or to receive a free assessment of your case, contact a Los Angeles product liability lawyer today at 310-641-3335.